A photo of Russ Chang from his 1960 LVHS yearbook. Over the weekend, I flew to Las Vegas to go to my father’s high school reunion with him. 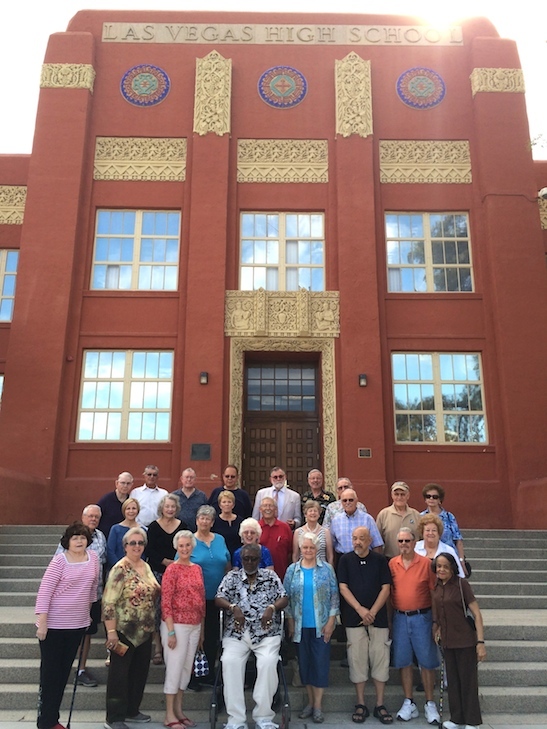 On the morning of September 26th, I met many of his LVHS Class of 1960 classmates on the steps of their alma mater where they gathered for their annual photo op to celebrate their 55th reunion. Below are a few recollections of the day. “It was great to reconnect with everyone who came from around the country,” he shared. While shooting alongside the official photographer, a few of his classmates thought I was his wife, before he introduced me as his daughter. We had a good chuckle about that. 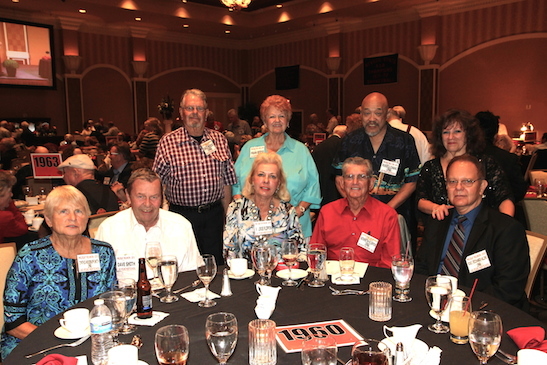 Later that afternoon, we headed to The Orleans Hotel and Casino for the 37th Anniversary – Annual Wildcat Reunion buffet dinner, held for all alumni of Las Vegas High School. Lia Chang and her father LVHS Class of 1960 alumnus Russ Chang attends the 2015 37th Anniversary – Annual Wildcat Reunion at The Orleans Hotel and Casino in Las Vegas, NV on September 26, 2015. LVHS Class of 1960 alumnus Russ Chang and his daughter Lia Chang attends the 2015 37th Anniversary – Annual Wildcat Reunion at The Orleans Hotel and Casino in Las Vegas, NV on September 26, 2015. “I had a good time, even though many of my classmates were not in attendance,” he said. Highlights of the evening included performances by LVHS Marching Band, LVHS Color Guard, LVHS Spectrum and the LVHS Cheerleaders. Thanks to Dave Williams for sharing the LVHS Class of 1960’s Reunion photos on the LVHSAA.com website here and the video highlights of the performances here. For more information, email lia@liachangphotography.com or click here for the Lia Chang Photography Website. Once a year a dedicated committee works hard to put together the Wildcat Reunion. This reunion is historically held in early or mid-September. It was started in 1978 by alumni Bill “Wildcat Morris (class of 1945) . Hence 2008 was the 30th anniversary of the Wildcat Reunion. The reunions were held in Morris’ backyard until they became too large. It was then held in various locations until Morris died in 1998. 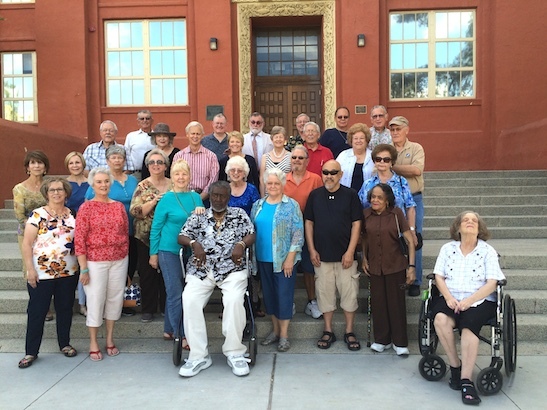 In 2001, alumni Bill Boyd and other members of the class of 1949 started it up again at the Stardust Hotel. It was moved to Sam’s Town in 2002 and has been held there annually ever since. In 2012 it was again moved to The Orleans Hotel and Casino. Mark your calendars for the next Wildcat reunions on September 24, 2016 and September 16, 2017. Contact Patty Haack at (702) 876-6660 or LVOwl@aol.com for more information. Click here for more information on the Las Vegas High School Alumni Association.